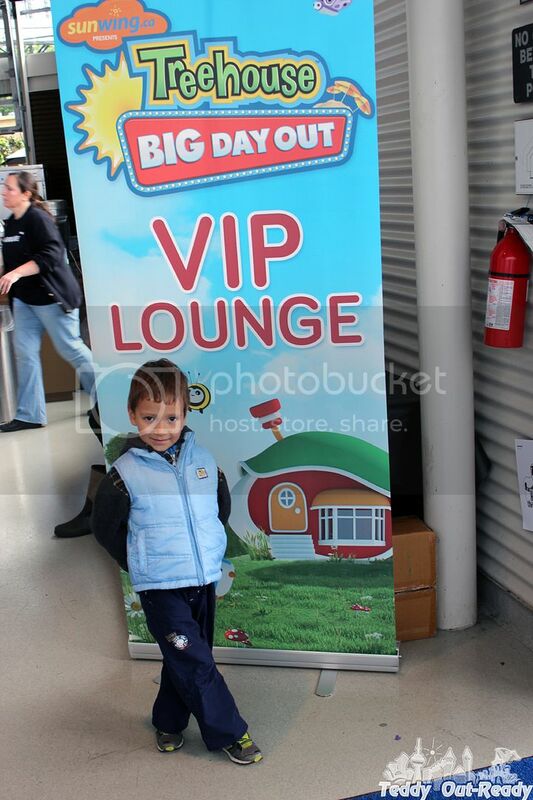 Last week we had an amazing opportunity to attend Treehouse Big Day Out presented by Sunwing.ca in Toronto. The day of the show promised to be cold and raining but the weather significantly improved when we reached Molson Canadian Amphitheatre. We came to watch afternoon performances because Teddy’s has art classes in the morning. 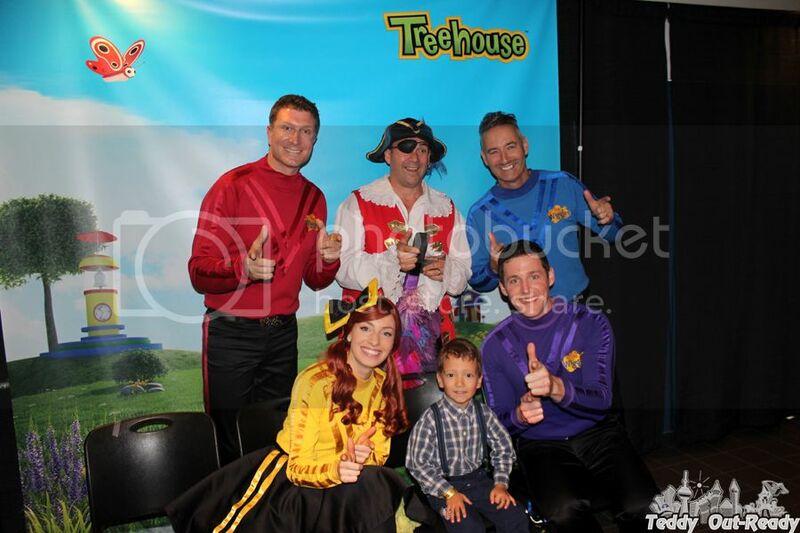 While we have a small collection of The Wiggles DVDs, met Splash’N Boots at the CNE and love watching Max & Ruby on TV, meeting stars in person is always inspiring and unforgettable experience. 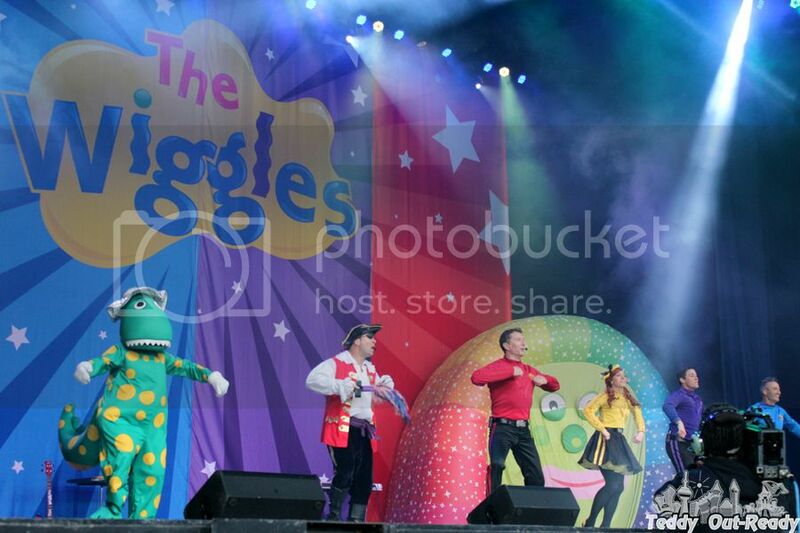 We were very excited to meet The Wiggles in person: Anthony Field, Emma Watkins, Simon Pryce and Lachlan Gillespie. Beautiful voices, catching songs, bright personalities and great dancers - good example for young children. 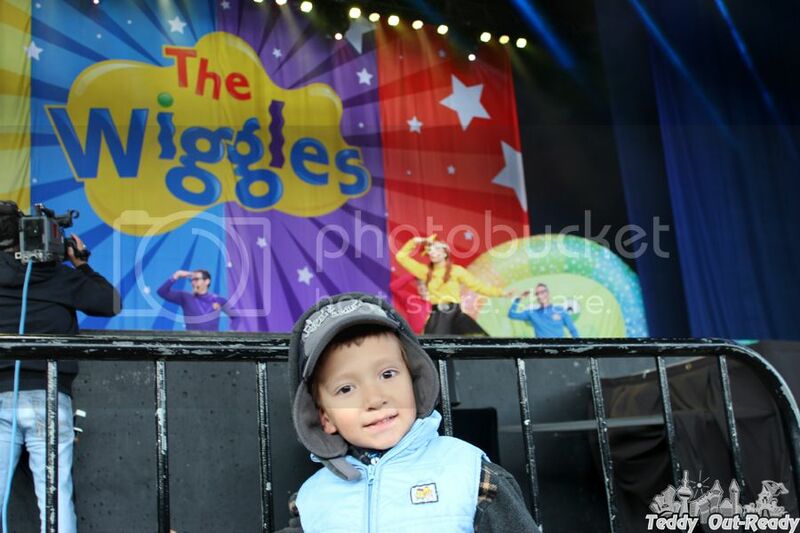 Teddy even mentioned that he wants to be like Red Wiggle when he grows up. Then Teddy joined the autograph signing of the children book “Wecome to Trucktown”. 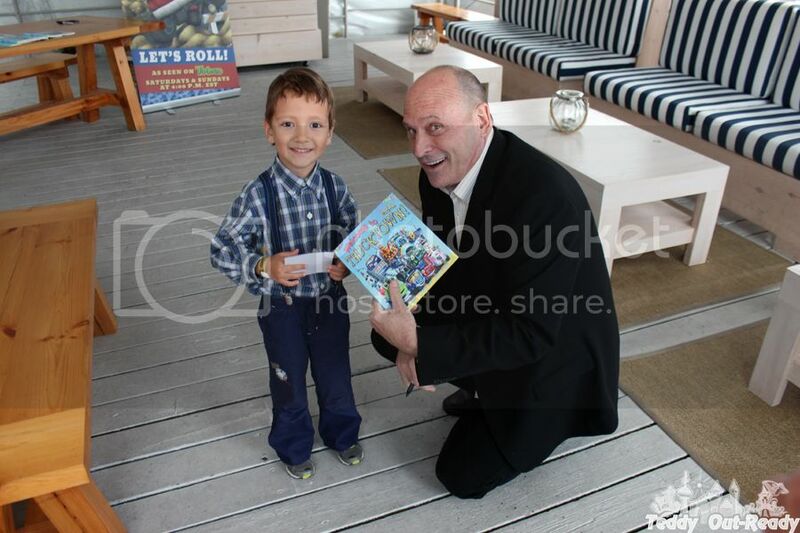 It was nice to meet the author of this interesting book - Jon Scieszka. I like we spent some time at Treehouse Big Day Out Lounge to have some food and drinks, very relaxing and convenient place, especially for families with kids. 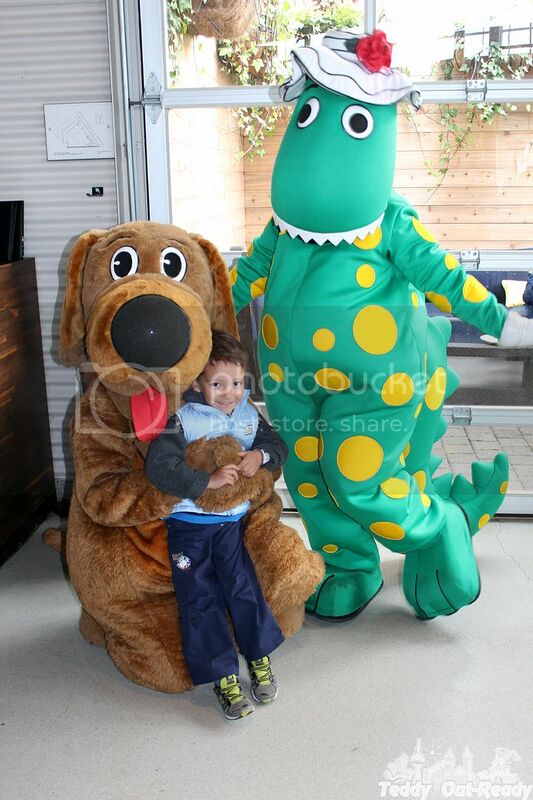 It was a big surprise when Dorothy the Dinosaur and Wags the Dog showed up and Teddy had a fantastic time with them. We joined the performances on the Main Stage, started with Splash’N Boots. We love their songs which are always cheerful and funny. Then we followed the adventures our favorites Max & Ruby. 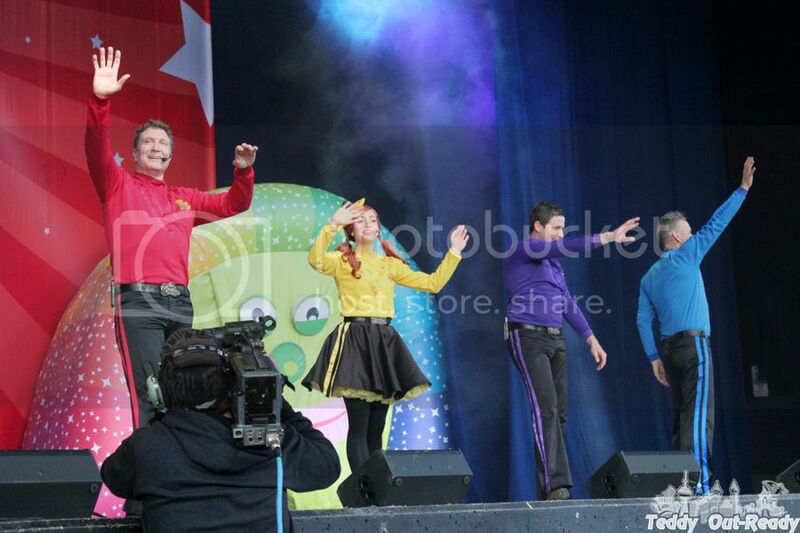 Finally The Wiggles rocked the stage with songs, music and dancing. The show was very interactive and it was nice to see adults dancing with kids. 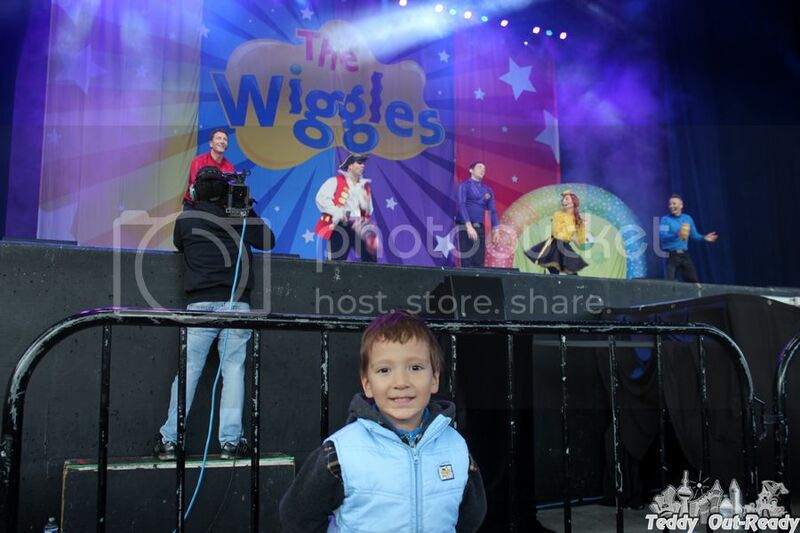 Teddy went to dance with other children close to the stage. 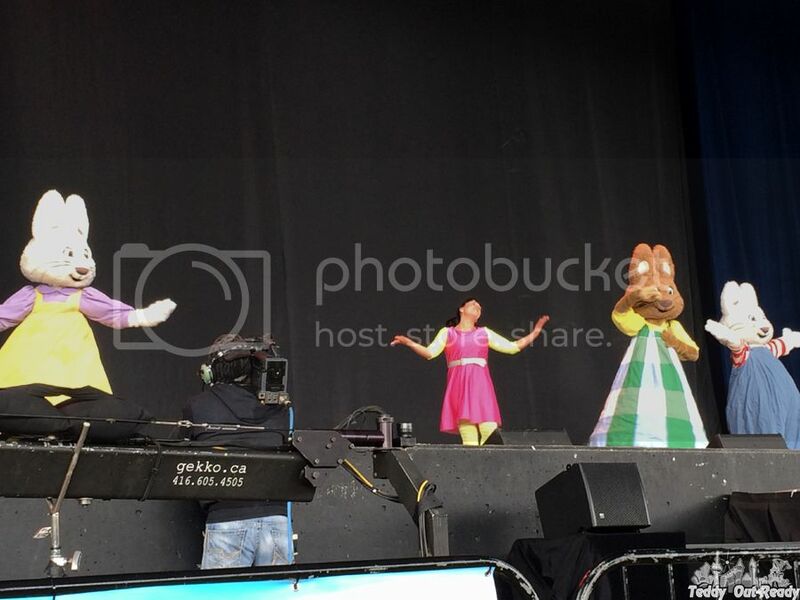 Besides the performances there were lots of family friendly activities including meeting favourite Treehouse characters: Franklin the Turtle, Mike the Knight and Peppa Pig, LEGOLAND building station, Toronto Zoo animals and many others. Overall, it was an amazing afternoon spent with favorite performers and great activities for kids and families. We had a very good time at first Treehouse Big Day Out and looking forward to meet our favorites next year in Toronto again! 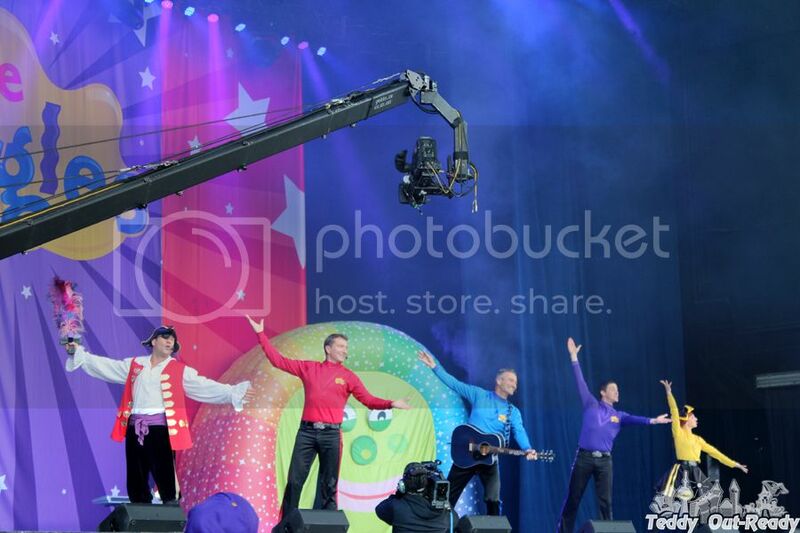 And do not forget to tune in for the TV special of Treehouse Big Day Out on October 4th at 5pm ET! I remember when my kids were younger, they would have flipped over this.. we never made it but it looks like allot of fun. My daughter loves Max and Ruby and would have loved to see them up there live on stage! Even though she will be 11 now, she still sneaks her Max and Ruby dvd's in her room to watch them without ridicule from her older sister lol. What a fun event. I love how happy everyone looks in all the photos.